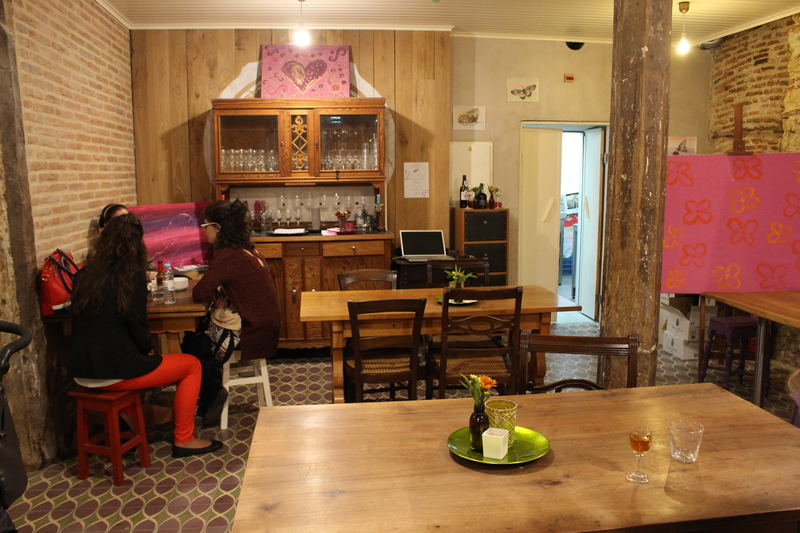 One of the saddest days in the last couple of years was the closing of one of our favorite wine bars, “Os Goliardos”. It truly was a wonderful place and one of our favorite hang out spots on any Friday night. Conveniently situated near Nora’s appartment, it made the not so straight walk back home at 2 am a whole lot easier. Even though “Os Goliardos” lives on as a wine organization, offering among others great workshops, we lost a wonderful bar. Thankfully, amazingly located on the opposite of Copenhagen Coffee Lab there now is the wine shop annex café Carinho do Vinho. The thing is: we love cafés. I grew up in Belgium where, in the wonderful old city centers of Antwerp or Ghent, you can until late at night, go from café to café having some of the best Belgian beers. 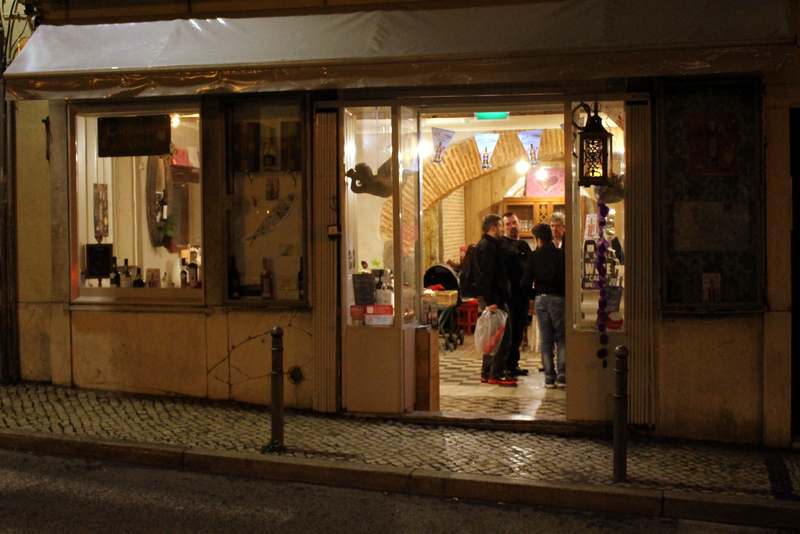 Here in Lisbon, things are a bit different: the whole concept of going from café to café to have a drink in a civilized manner with some good music and cosy settings can be a rather frustrating experience. Unless you go to Bairro Alto, but hey, we did say “civilized”. Even though there are no other great cafés near Carinho do Vinho that warrant a serious pub crawl without having to walk to the other side of town, it doesn’t matter: at this place, once seaten, you’ll want to stay until the wee small hours of the morning. The interior is very cosy and warm: red brick arches above the tasting part of the huge room and graced with long wooden tables. 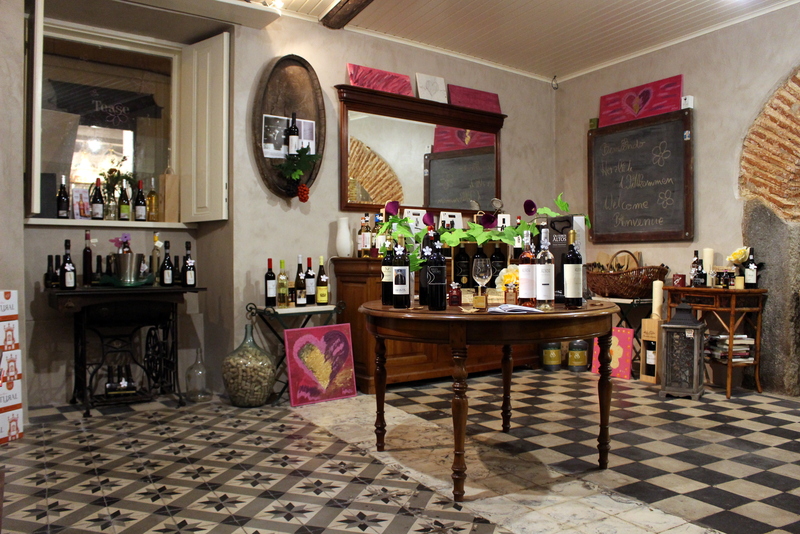 Oh, and the bathroom is, for want of a better word, very cute and fits perfectly into the wine concept. The owner Phillip originally wanted to put up a huge wine barrel with a toilet inside and even though it would have been too much of a hassle for him, we still think that there is a lot of merrit to the idea. Because of the long tables, (there are only a couple of tables really), you’ll end up drinking your wine with people you don’t know, which is the very point of cafés: they originally served and should continue to serve as meeting points for people of the neighborhood. At “Carinho do Vinho”, they get that completely. What is also nice is that there is no fixed menu: you’ll pay 3 euro’s for a glass of wine or you can share any bottle of wine from the shop with a corkage fee of 4,5 euros. 4 euros will get you as an accompany some bread, cheese and olives or whatever it is that they feel like serving that day. Having no menu just makes everything so fuss and stress free, so you can focus on what you came here for: the wine. Sure, you can take as many bottles as you can afford home with you but oh, how sweet it is to be served a glass of wine here, sitting at one of the long tables and talking to whoever might be sitting next to you. We do not have any clue of which kind of wine you’ll get, but they always have a bottle of white and red open and normally also some kind of white and ruby port wine and maybe some Moscatel. It really depends. 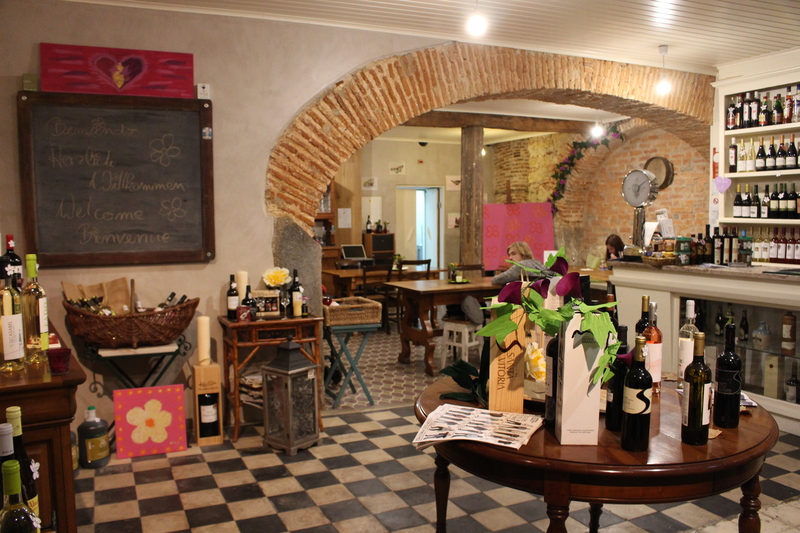 Phillip and his partner Ina, the owners, fit in to the international Praça dos Flores restaurant scene really well. She is from Germany and he is originally from Ireland but has been living in Portugal for a long time. 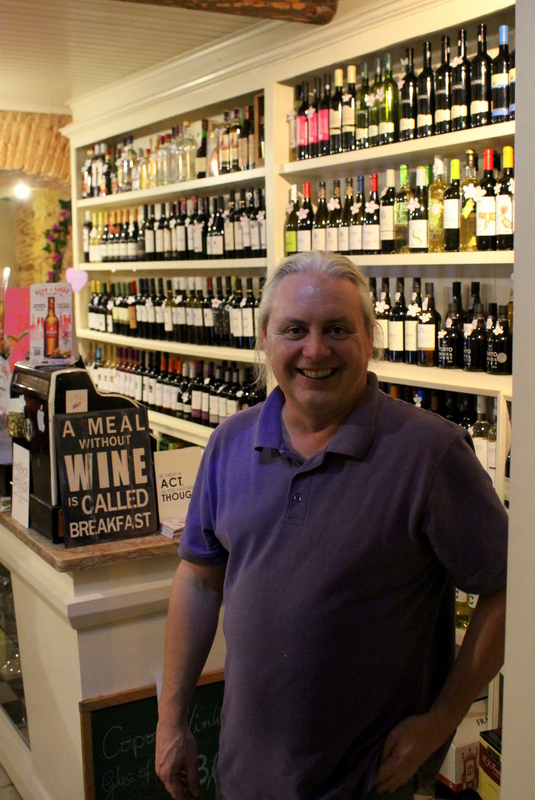 He knows his way around Portuguese wine and only sells wine from small producers. In a growing wine market where huge wine corporations are swallowing up the smaller, individual co-ops and wine producers, we cannot emphasize enough how hugely important it is to support initiatives like this, providing of course, that the wine is good. 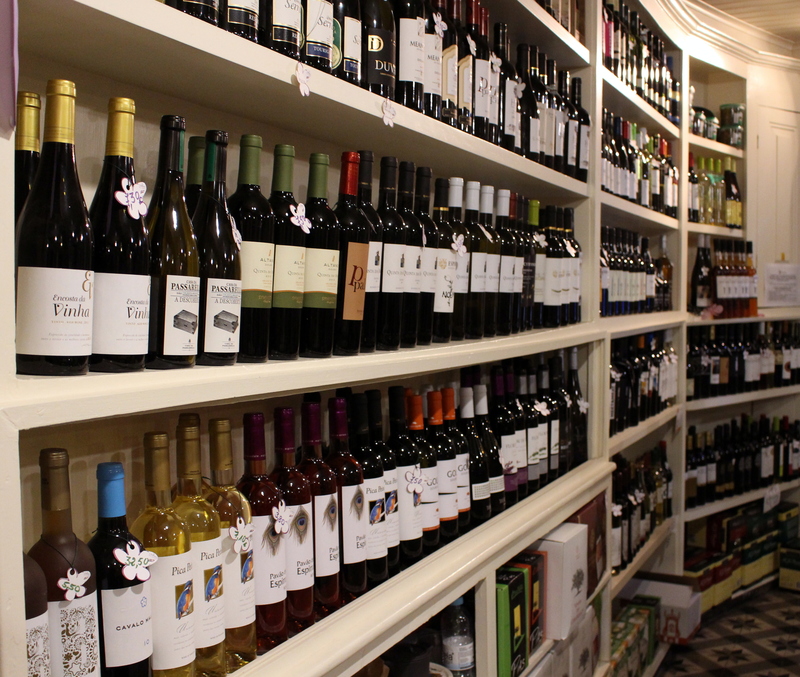 “Carinho do Vinho” originally started as a replacement for the wonderful wine shop that was previously on Praça dos Flores (and its former owner is now working at “Carinho”) but has in the meantime grown out to be so much more than a wine shop. We are not professsional sommeliers (yet) and are also not very interested in spoiling you what wine we had and how it tasted. All we can say is that the quality is far superior to most Portuguese wines you can buy in any supermarket and that it really is not very expensive at all. We believe that whatever meaning life might have, can only be derived in the experience of the moment itself. We suggest that one evening you come here for yourself, explain to Phillip what kind of wine you want, enjoy a glass and just let the time fly by. “Carinho do Vinho” is also partaking in the Rota das Tapas until the end of this month (31/10). Come and try their German sausage sandwich with German mustard and chips. For sure you won’t be disappointed!